In yoga and especially in Ashtanga yoga breath is life. The breath unites the body with the deepest part of the mind – the spirit – and the spirit of the practice of the Ashtanga is the breath. Acquiring the ability for a long and deep breath, the mind becomes calm and collected, the thoughts stop and every movement kindly and carefully flows from an asana to the other through the completion of the series. When breath and movement flow without effort and in perfect harmony, then the practice of the Yoga Ashtanga transcends the awareness and evolves in the lightness of meditation in movement. The term Ashtanga historically refers to the ‘eight limbs’ of yoga, a system derived from the writings of the mystic Patanjali. The yoga known in the West as Ashtanga, however, refers to something else – and that is the active, flowing style of yoga popularized by Pattabhi Jois. Jois’ yoga is often referred to as astanga vinyasa yoga now to differentiate it from this historical term. All styles of yoga have been influenced by Patanjali’s works. The principles he describes underpin the philosophies of the various branches, and in this, ashtanga vinyasa yoga is no different. These eight limbs are described as: abstinences (Yama), observances (Niyama), postures (Asana), breath control (Pranayama), sense withdrawal (Pratyahara), concentration (Dharana), meditation (Dhyana), and contemplation (Samadhi). Breathing correctly is an important part of practicing yoga, and Vinyasa refers to movement that is synchronized with the breath. Astanga vinyasa yoga uses a particular style of breathing called ujjayi pranayama. This is a somewhat noisy type of breathing that is done by keeping the mouth closed, and slightly constricting the throat. Its’ effect is to reduce the amount of air passing though, which thereby increases its’ force and speed. A lot of heat is generated in the body when breathing ujjayi style. It also helps keep the mind focused on the asanas themselves, and is thus a good way to train the mind. It is said that the asanas, in combination with the heat generated, help eliminate toxins from the body. The practice, of breath and asana, is considered a way to purify our internal organs and muscles. The Ashtanga Vinyasa Yoga system uses three main sequences, each of which performs a different function and builds on the previous in terms of skill, strength, and flexibility required. The primary sequence is known as Yoga Chikitsa, and this is the sequence that helps to align the body and expel toxins. The next sequence is known as Nadi Shodhana, and this is the intermediate sequence that is said to open the energy channels and purify the nervous system. The advanced sequence is called Sthira Bhaga, and is a higher level series that requires a greater degree of flexibility. It is important for those practicing this form of yoga to ensure that they fully develop each sequence or series before they move on to the next. The series do increase in levels of difficulty, and for most people, the first, or primary series is all they may feel inclined to do. Many of the poses within it are challenging enough, particularly if you do not have a lot of upper body strength. And even without progressing beyond this series, the benefits of increased co-ordination, physical fitness, and concentration, can be developed. Ashtanga vinyasa yoga is an extremely enjoyable, dynamic style that provides both physical and mental challenges. 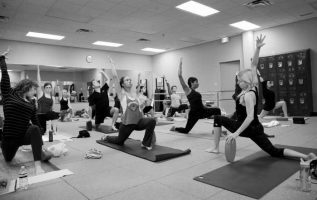 It is ideal for those that want a strong practice which incorporates the cardiovascular benefits of regular fitness with the flexibility and inner strength that is characteristic of yoga. The beginner starts with the first or primary Yoga Chikitsa series. Yoga Chikitsa is a way to realign the spine, detoxify the body, builds strength, elasticity and stamina. The series of 75 poses can be done in less than 2 hours, the beginning is always the Sun Salutation (Namaskara) and next are standing poses, seated poses, inversions and backbends and at last relaxation.